Today's hike was in Griffith Park, about 8 miles. 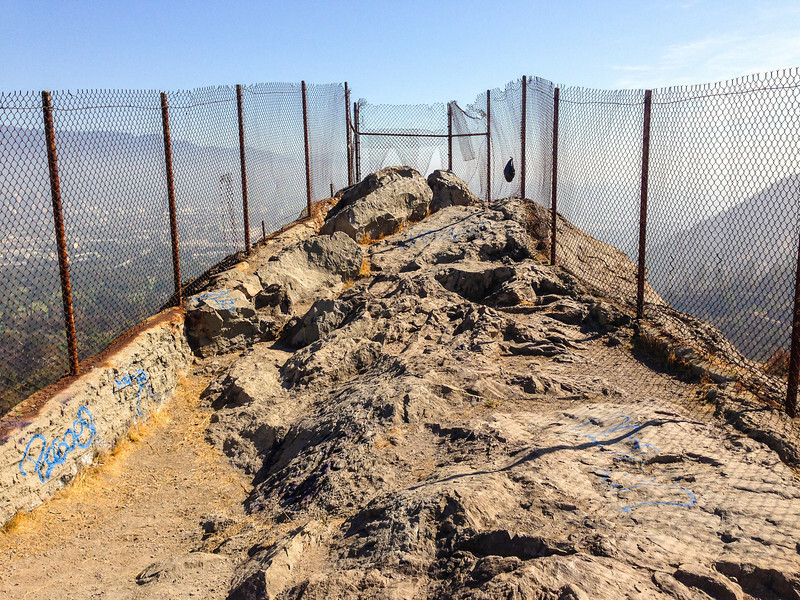 I hiked from the Los Feliz side up to Griffith Observatory and then to the top of Mount Hollywood. Turns out that's not very far, so I kept going down the other side, kind of wandering. I found this cool rock outcropping, but it was all fenced off. Of course, there was a hole cut in it so you could still climb around with the risk of falling and dying.